This is your last day of training. You have decided to take no regular vigorous exercise. No discernible decrease in fitness. If you have been training hard up to day 0 you can expect your fitness to be higher than day 0. Fitness begins to drop due to decrease in blood volume and muscles becoming less efficient at using glucose and at coping with lactate build up. Things are starting to slip. Your maximal oxygen uptake (VO2 max, the prime measure of your aerobic fitness) has dropped by up to 20%, because the muscle mass in you heart has dropped by 20% and the number of capillaries in your muscles has declined, resulting in a reduction in oxygen uptake to the muscles. You are definitely on the slide. Your muscle structure is reverting to that of a normal, non-exercising person. Your muscles are less able to burn fat for energy and are no longer able to sustain high intensity efforts. Your heart now 25% less muscle and your muscles ability to produce energy from oxygen has dropped by up to 45%. You now start to produce stress hormones when exercising which makes it mentally difficult and increases recovery time. 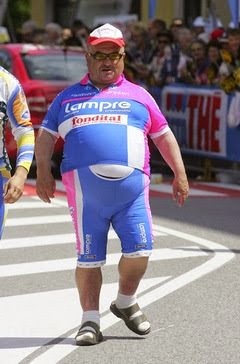 You are now unfit and have probably put on weight. Even if you still weigh the same you will be fatter, muscles mass having been lost. But the good news things have mostly stabailised, although your ability to utilise oxygen during exercise is still declining. Interval sessions consisting of just 8×30-second efforts, two or three times a week – just 12 minutes a week – can be very effective at preserving aerobic fitness. Police are investigating after a stockbroker tweeted that he failed to stop after hitting a cyclist while driving because he was late for work. The tweet drew widespread criticism online, and within hours he was sacked from his job in the stockbroking department of Bristol investment firm Hargreaves Lansdown. Qadar, a former Cardiff University student, later apologised on Twitter for what he said was a “bad taste joke”. 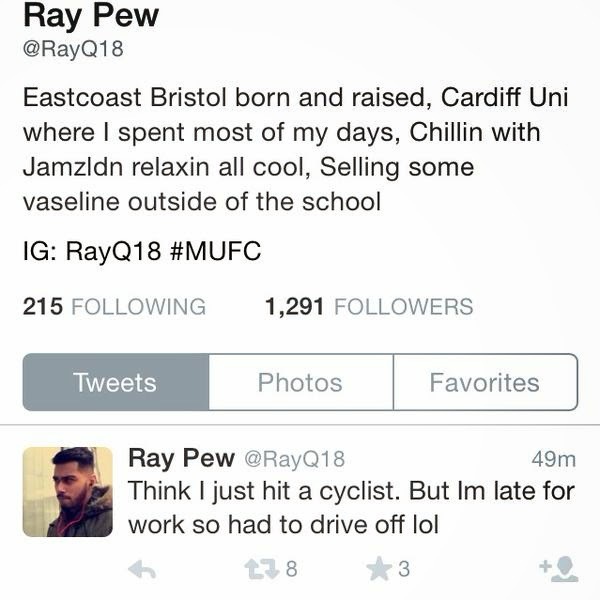 He tweeted: “My previous tweet about the cyclist was not true.” He said he had never hit a cyclist and in another tweet said that “99%” of what he posted on the social network site was “nonsense”. But the apology was not sufficient to save his job. Hargreaves Lansdown said: “One of our employees has failed to conduct themselves to the standards we expect of our staff. Qadar’s Twitter account was altered so that only his 1,323 confirmed followers can access his tweets. Speaking on Tuesday from his home in Bristol, Qadar again apologised. He said: “I am 100% sorry. It was a joke gone bad. I understand now that I can’t say things like that. If I did have an accident I would not drive away. “I was literally late to work – that’s the only true bit – and I tweet a lot of nonsense. Obviously it’s not true. The only true bit is I was late for work. “I say a lot of things like that on Twitter. People that follow me for a few years they know I talk a lot of nonsense really. That’s all it was. It was a really dumb thing to say and now I’ve lost my job. I had no idea it would blow up like that. A new book by Carlton Reid debunks the generally held belief that road were built for cars. It starts with the obvious point that roads pre-date cars but goes on to provide a great deal of evidence that the evolution of road in the early part of the last century into the general conditions and structure we have today owe more to cyclists than motorists. 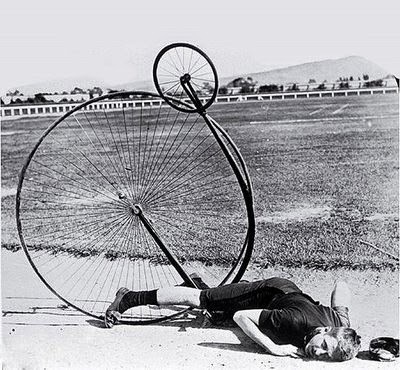 It was cycling groups, both in the UK and the US, that lobbied hard to have road surfaces improved after years of neglect during the great boom in rail travel during the Victorian period.